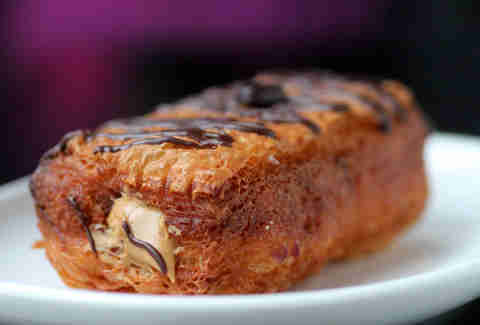 Wave goodbye to your marathon training regimen (and your 5k training regimen), because our city has just been stormed by a mutated confection that is as delicious as it is de-motivating: the cronut. 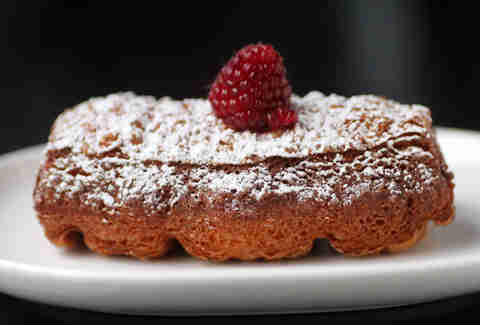 Just don’t call them cronuts -- Dominique Ansel Bakery in NYC, creator of the ingenious pastry, does not take kindly to that, legally speaking! 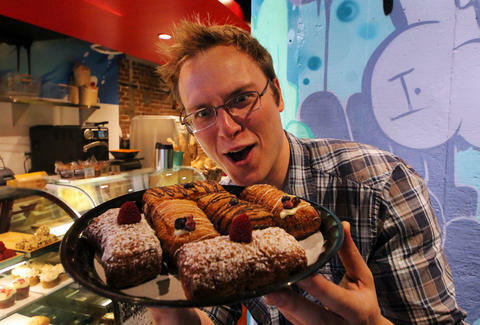 So here’s where to get these demonspawn donut-croissant hybrids, that are not “cronuts” (wink). 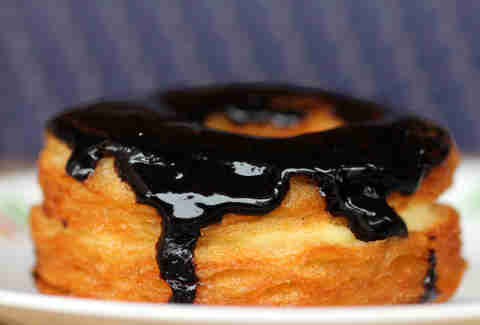 The crognet: a Boston cream cronut with vanilla cream custard filling and chocolate ganache icing that’s distinctively moist and chewy, almost like a cruller. 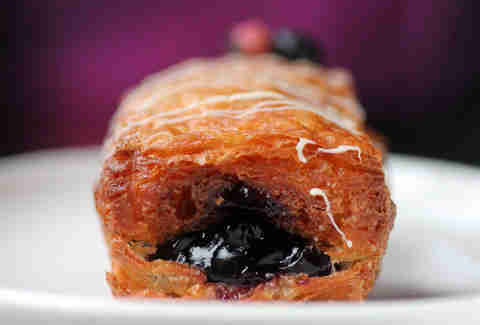 Other flavors include chocolate, raspberry, and maple bacon. 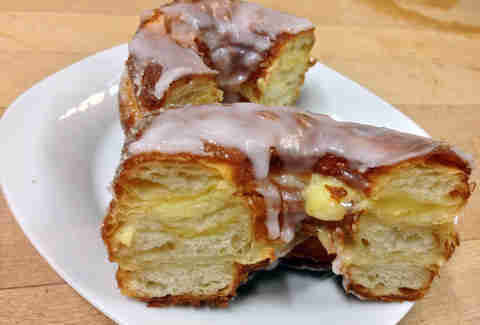 The kronut: a vanilla bean pastry cream topped with a rose glaze that looks nearly like the real McCoy and nearly triples the bakery’s croissant production. Too bad those magic elves are assigned to cookies. 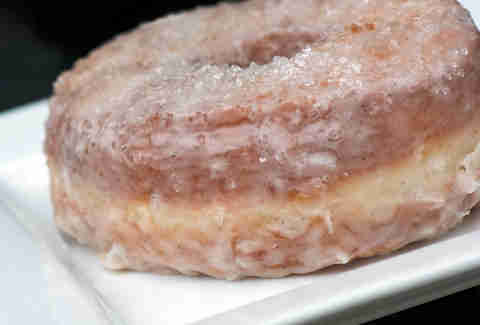 ... a vanilla-glazed incarnation with sugar crystals that could catch even Walter White’s eye. 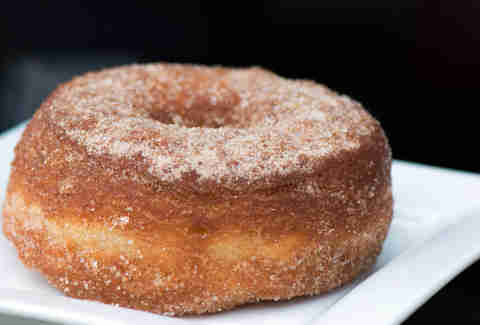 ...and check out more Cronut knock-offs on our interactive Cronut (and Cronut impostor) map!